Eve Byrd 86N 98MN/98MPH 17DNP is director of the Carter Center's Mental Health Program. She previously served on the faculty at the School of Nursing and as executive director of the Fuqua Center for Late-Life Depression at Emory School of Medicine. Byrd graduated from the Doctor of Nursing Practice program this year. Janet (Irizarry) Fedullo 01MN received the 2016 outstanding preceptor award from the American College of Nurse-Midwives. She is a nurse-midwife and lactation consultant at Intown Midwifery in Atlanta. Dr. Brittany M. Newberry 01N 03MN/03MPH is vice president of education and professional development for HospitalMD, an emergency department staffing company for rural facilities. She is an emergency nurse practitioner at Piedmont Mountainside Hospital in Ellijay, Ga., and serves on the adjunct nursing faculty at Emory. She also chairs the practice committee for the American Association of Emergency Nurse Practitioners. Newberry and her husband live in Blue Ridge, Ga., where their household includes a dog named Emory. Deborah Darlene Williams 02MN is a nurse practitioner in cardiac imaging (outpatient adult care) with Emory Healthcare (EHC). She received her DNP from the University of Alabama, Tuscaloosa, in 2015 and continues to serve there on the adjunct faculty and as a DNP mentor. She is also a host/preceptor for nursing students in the Outpatient Echo Lab at EHC. In 2016, Williams received the EHC Ambulatory Care Clinical Excellence Award in the Transformational Leadership category and was a finalist in the Structural Empowerment category. 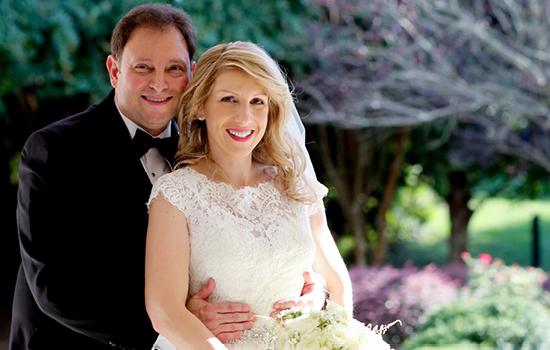 MARRIED: Julie Schneider 08MN and Michael Levy, on Sept. 6, 2016. She is a nurse practitioner at Emory University Hospital. The couple lives in Atlanta. Jon Soffer 10N 11MN and his colleagues at Mid-Columbia Medical Center (MCMC) founded a program last year to serve the seasonal farm workers who pick cherries in Oregon's Columbia River Gorge. 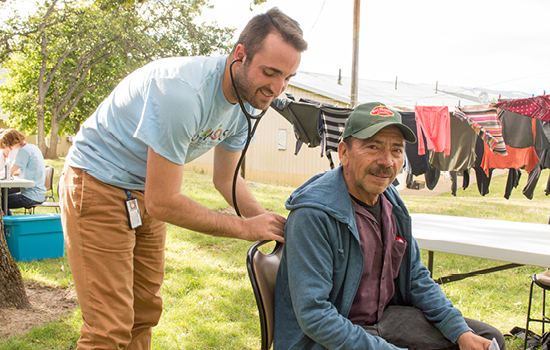 MCMC joined with community groups to form SOMOS (Serving Oregon and its Migrants by Offering Solutions), which provided a walk-in clinic and off-site events to provide health screenings, primary care, and referrals for some 200 workers. "We plan to continue this on an ongoing basis," Soffer says. "Our hope is that once the migrant farm workers know that we do this, every year when they return, we'll have more and more of a following." SOMOS is patterned after Emory nursing school's Farmworker Family Health Program in Moultrie, Georgia, where Soffer participated as a student. John N. King 06OX 13N completed the Ironman Triathalon in Quebec last August. Held in the ski resort town of Mont-Tremblant, the race has one of the hilliest Ironman courses. In typical Ironman fashion, the race includes a 2.4-mile swim, 114-mile-bike ride, and a 26.2-mile run. "It rained from the start of the race at 5:30 AM until about the time I finished at 11:30 PM," says King. "It was cold, wet, and windy, and I was unsure if I was going to finish a few times. I'm pretty sure a few tears were shed as I fought against the rain." 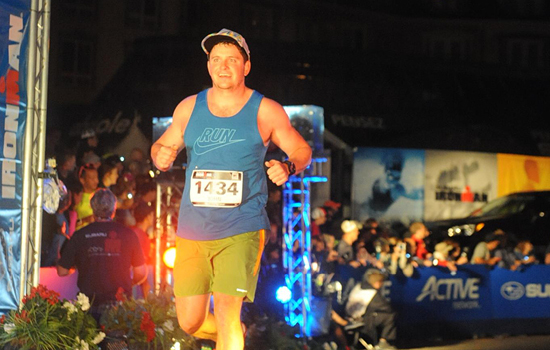 Knowing his friends and family were cheering him on, he kept pushing and crossed the finish line 16 hours and 33 minutes later, fulfilling a lifelong dream. King works in an ICU step-down unit at a long-term acute care facility in Athens, Ga. He and his fiancee will move to Boulder, Colo., this summer to pursue flight nursing and mountain rescue. Jennifer Burkholder 13MN/13MPH is the deputy director of emergent health threats at the Georgia Department of Public Health (DPH). In this role, she coordinates Zika preparedness and response activities and has developed an operational plan for how the department would respond to local Zika transmission. So far, there have been no reported cases of local transmission in Georgia. Previously, Burkholder served as the deputy chief nurse of emergency preparedness in the Office of Nursing at the DPH. Susan Swanson 16DNP was named a postdoctoral fellow in the VA Quality Scholars Program.